Library liaisons work closely with the Discipline to make sure that the faculty are given the opportunity to select materials and services that best fit the needs of the curriculum. Each liaison works in a college-wide capacity. Whether it's attending the discipline meetings, working with a small group of professors to review a database, or attending a national conference, library liaisons have the expertise needed in the field to support the changing needs of the discipline and support student success. 985 eBooks in the field of law and paralegal studies. and a rich information literacy program that includes embedded librarians and tutors in paralegal studies. 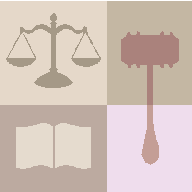 Each tab within this guide provides an overview of the paralegal resources available to the MDC community with information about various types of material and formats that make up the current collection and resources. Working with the library liaison, faculty within the discipline now have the information they need to create an up-to-date instructional program. Libraries are rapidly changing environments. For this reason, an overview is provided for each type of information collected by the College so that faculty can make the most informed choice about what resources to use in the classroom.